With over 300 questions, this assessment is exactly the tool you need to analyze your enterprise systems in full detail. For 30 years we have implemented and supported ERP systems and use this assessment to develop a needs analysis. The goal of this assessment is to help you identify areas for improvement in the major areas of your business technologies. As with any self-assessment the goal isn’t a complete snapshot of every nuance of your business, but rather a good opportunity for overall self-reflection. So, don’t stress about the exact wording of these descriptions. Instead, just give your overall impression of how your business rates in each category based on the past year. After you finish, please journal a few notes to tell us about your ratings and each area of your business. If you don’t like your scores, It’s just an indication to focus on areas a little more. Improvement takes time. Set some goals, start new projects, and be patient and persistent in your work to level up your technology performance. Those questions which have plagued your team will no longer go unanswered. Using such an assessment puts everyone on the same page and provides opportunity for productive conversations. Your answers to this questionnaire will reveal important things about you and your business – whether it's a strength, an area which needs improvement, or a topic about which you might consider asking more questions. 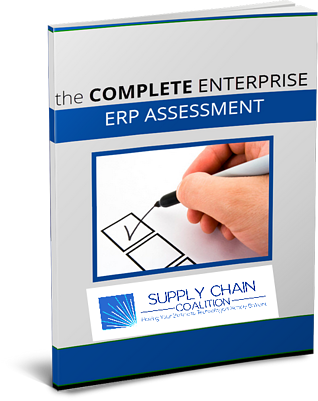 By completing the ERP self assessment, your team will understand why and where enterprise software is failing. This is an extensive assessment as it has been developed and revised over decades. If you would prefer to have an expert assist you with your evaluation, please contact us here. Introduce yourself by completing the form and receive the complete Enterprise ERP Self Assessment immediately. Get FREE Assessment Form Now!